Overwork, emotional stress, allergies, infections, toxic metal poisoning, electromagnetic pollution, and illness all take their toll. Increasing coping margins can relieve some of the pressure and extend the number of productive hours in a day. Adrenal Herbs are used to support stamina and endurance, nourish depletion due to stress and overactive kidneys, and pacify allergic tendencies. Contains: Ashwagandha root, Withania somnifera*.. Contains: dried Hymenaea courbaril bark in distilled water, organic grain alcohol, and pure vegetable glycerin. 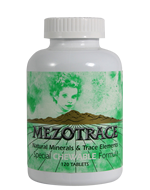 Contains: Glycyrrhiza glabra root in Distilled Water, Organic Alcohol, and Vegetable Glycerin.. Contains: 1:5 extract of organically grown Rhodiola rosea root in distilled water, organic alcohol, and vegetable glycerin..